The Sea Power Centre is the Australian Navy’s research directorate. The Library supports the historical research team who work onsite at the Centre and also provides access to visiting scholars and international naval research fellows. There are approximately 60,000 items in the historical research collection. 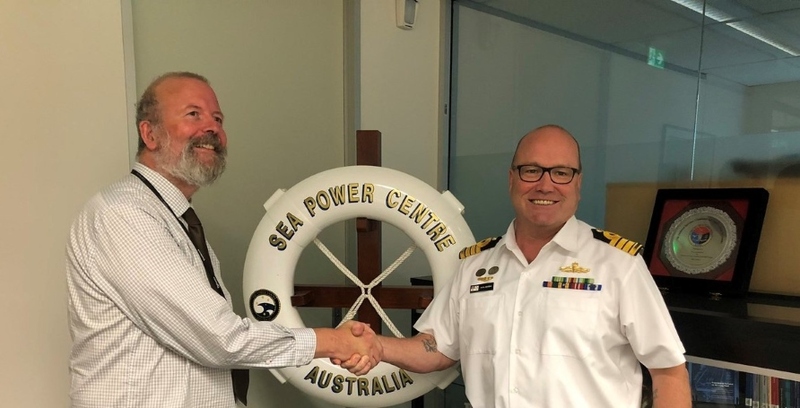 The Sea Power Centre – Australia was established in the early 1990s to act as an autonomous research centre to foster and encourage development of maritime strategic thought by providing intellectual rigour to the public debate on maritime strategy and other maritime issues. They have been using Liberty since 2012 and the catalogue has been a work in progress since then. Captain Sean Andrews was on hand to congratulate Librarian and Cataloguer Steve Cremer, and the milestone was celebrated with a mud cake. And which book, you may ask, earned the library the record? Alvin Toffler’s War and Anti-War.